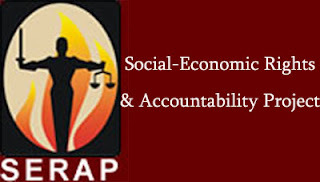 The Socio-Economic Rights and Accountability Project (SERAP) has commenced contempt proceedings against the Federal Government and some other government officials for failing to comply with a court judgment. A Federal High Court had ordered the Federal government to publish the spending of recovered stolen funds since return of democracy in 1999. Others named in the suit are the Attorney-General of the Federation and Minister of Justice, Mr Abubakar Malami and the Accountant-General of the Federation, Mr Ahmed Idris. In a statement, the Executive Director of SERAP, Adetokunbo Mumui, said the contempt suit was filed “following the service on Mr Malami and Mr Idris of the certified true copy of the judgment of 24 March, 2016 by Justice Muhammed Idris”. The form 48 contempt suit was filed at the Federal High Court in Lagos last week and it read: “Unless you obey the orders of the court contained on the reverse side of this process you shall be deemed to have disobeyed the orders of the court and shall be liable to committed to prison for contempt”. The Form 48 is the notice of consequence of disobedience of court orders. Mr Mumuni said: “Despite the service of the certified true copy of the judgment on both the Attorney General of the Federation and the Accountant-General of the Federation they have failed and/or neglected to acknowledge the judgment let alone obey it. It’s unacceptable to take the court, which is the guardian of justice in this country, for a ride. A democratic state based on the rule of law cannot exist or function, if the government ignores and/or fails to abide by Court orders”. The 69-page judgment signed by Justice Idris read: “Transparency in the decision making process and access to information upon which decisions have been made can enhance accountability”. “Obedience to the rule of law by all citizens but more particularly those who publicly took oath of office to protect and preserve the Constitution is a desideratum to good governance and respect for the rule of law. In a constitutional democracy like ours, this is meant to be the norm. “In respect of the SERAP reliefs on recovered stolen funds since return of democracy in 1999, the government had kept mute. Let me say that they have no such power under the law. “There is public interest in public authorities and high-profile individuals being accountable for the quality of their decision making. Ensuring that decisions have been made on the basis of quality legal advice is part of accountability. “I am of the view and do hold that the action should and does succeed in whole. Documents relating to the receipt or expenditure on recovered stolen funds since return of democracy in 1999 constitute part of the information which a public institution and authority is obligated to publish, disseminate and make available to members of the public. The government has no legally justifiable reason for refusing to provide SERAP with the information requested, and therefore, this Court ought to compel the government to comply with the Freedom of Information Act, as the government is not above the law. 1. A DECLARATION is hereby made that the failure and/or refusal of the Respondents to individually and/or collectively disclose detailed information about the spending of recovered stolen public funds since the return of civil rule in 1999, and to publish widely such information, including on a dedicated website, amounts to a breach of the fundamental principles of transparency and accountability and violates Articles 9, 21 and 22 of the African Charter on Human and Peoples’ Rights (Ratification and Enforcement) Act. SERAP had on 28 March, sent a copy of the certified copy of the judgment to Mr Malami and Mr Idris, urging them to use their “good offices and leadership to ensure and facilitate full, effective and timely enforcement and implementation of the judgment”. The letter to the government read: “Given the relative newness of the Buhari government, the effective enforcement and implementation of the judgment will invariably involve setting up a mechanism by the government to invite the leadership and high-ranking officials of the governments of former President Olusegun Obasanjo, former President Umaru Musa Yar’Adua, and former President Goodluck Jonathan to explain, clarify and provide evidence on the amounts of stolen funds recovered by their respective governments (from abroad and within Nigeria), and the projects (including their locations) on which the funds were spent. The organisation said that, “the enforcement and implementation of the judgment should not be delayed as to do this is to continue to frustrate the victims of corruption in the country since the return of democracy in 1999, and will threaten to undermine the authority of our judicial system”.